The process of our work together involves a series of meaningful questions and personal reflection that will strengthen your bond as a couple. When the three of us are standing beside each other at your wedding, I want you to feel held, loved, and supported-the whole way through. Self-Expression: The components that will make your ceremony come to life are in the expression of your true feelings, intuition, and wisdom. Now is the time to get inspired and feel creative about how you want to illuminate your love story. 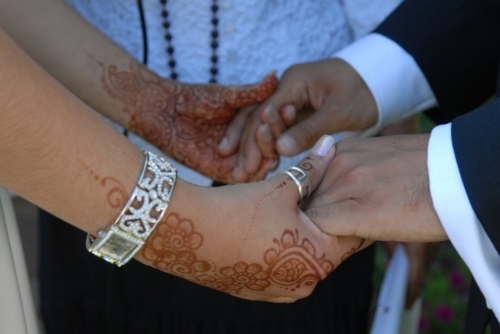 Personal Transformation: Getting married is more than an event. It is a time to celebrate who you are and who you are stepping into. Sometimes the profound nature around life transitions creates challenges that demands us to be vulnerable. When we allow that natural process of learning to take place, we often flourish. You and your partner have the opportunity to be the greatest versions of yourselves as you enter this new chapter of your lives. Collaboration: Most great things in life happen when you are connected to others. Going through this transformative process with your partner will reap abundant love for one another and a ceremony that illuminates how right you are for each other. Exploring your values and needs before your wedding can help you find a common ground and lay the foundation for a rich and fulfilling life together.